Here is quality hypnosis information for hypnotherapists, beginning and advanced hypnotists, students who want to study hypnotherapy online and just any person with a sense of curiosity that figured out it’s about time they open their mind. It is available to anyone who wants to learn, live, experience, comprehend, and understand hypnosis on any level they wish. Why Bother? Well, frankly put, hypnosis is the stuff of the future, not just as a form of entertainment, or a magnificent form of therapy, but as a means for discovering and reaching your potential. The potential of our minds are that of legend, and at this point in history we are not using our minds to full capacity. It has been stated many times that we humans only use somewhere from 7 to 11 percent of our brain capacity. Through hypnosis we gain the chance to enhance that sadly low number to high levels. How sad is it that nearly everyone on the planet is only functioning at 7 to 11 percent of their potential? Hypnosis is the beginning of the solution to this predicament. Sure, hypnosis isn’t perfect, and there are still many things to be researched and discovered about hypnosis, yet, without experimenting and exploring, how are we supposed to discover anything. We, my friends, are the pioneers of our century, and we now have the chance to show that we have not peaked as a race, we have not become a large mass of simpletons who are to be commanded as slaves. Let us become the best us we can be and rise up above the concepts of statistical nightmares that lead us to believe we have no choice. Maths and statistics tell nothing about the individual, and we can’t treat them as they do. 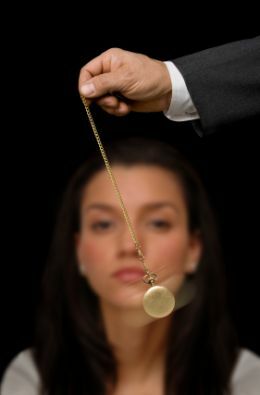 Hypnosis is something that is going on in your body everyday, as well as being utilized by nearly everyone around you, possibly without even their notice. It can be used as a form of, or at least to complement, psychotherapy. Hypnosis deals with what we believe to be true, and how we act and react to the situations we deal with everyday. Have you never wondered what makes you do what you do, how and why you make the decisions you do? Wouldn’t you be curious to know that all the things we do without the need to think beforehand are something that we are doing unconsciously? Nonetheless, travel into the vast abyss of your own mind, figure out how to control it instead of letting it control you, and you’ll be a step closer to realizing your potential. Belief is acceptance as truth or actuality without certain proof that it is so. Beliefs are what make humans objective and is also the base for success in hypnotherapy. With beliefs there are positive and negatives. Here are some examples of positive beliefs and negative beliefs. Beliefs are extremely powerful and are the main thing we as hypnotherapists set out to create in our clients. With the way the subconscious mind works, it will accept any belief in the mind set that it is beneficial to you and will then jump into action by applying said belief into your reality. For the subconscious mind to accept a belief as reality, no proof of any kind is required. Once a belief is solidified, even the critical mind would be powerless to fight against it. This is the power of a belief. In retrospect, hypnosis is belief. Hypnosis is a tool to install beneficial, organized, and desired beliefs. Believe that this website will expand your own hypnotic awareness and you will be correct because that belief will become your reality. Accepting an idea: Creating conscious and subconscious acceptance of an idea. Much of what is accepted and created as reality is illusion; this concept is known as “Maya.” Our one conceptual outlook on things creates our reality. Essentially we are the creators of everything that is real to ourselves. This is why promoting positive beliefs is what you can do to change things in your life. You have all the power and potential to manifest anything in your own life as well as assist others in doing just the same. So is belief the illusion, or is reality the illusion? Another way to describe a belief is a concentrated thought focused in a particular direction; as state in the Holy Scriptures: “As a man thinketh is his heart, so is he.” Thinking is producing thoughts, and as stated in ______, thoughts are forms of energy that create an affect on the body and mind. The power of suggestion is based upon how thought and beliefs can have curing effects or even cause damage. The reason “healing waters” or “holy waters” have had such powerful effects on people is due to the fact that by focusing a suggestion on something physical, otherwise known as tangible, the suggestion is made more powerful. Belief #1: Sprinkle holy water on your head and all your sins will be forgiven. Belief #2: By taking a dip in the pool from this holy shrine all you aliments will be healed. Belief #3: A few drops of this love potion in the mouth of your beloved will make him or her fall in love with the first one they see. Belief #4: You are told that a new experimental medicine has been created specifically for you, and your illness simply vanishes. Hypnosis and hypnotherapy have been called just about everything from “Yar-Phook” to “Voodoo.” After Dr. Fredrick Anton Mesmer’s work, it seemed to go by the name of “Mesmerism” fro a bit. Finally Dr. James Braid called it “Hypnotism” and for some reason that one seemed to stick. If you plan on being a hypnotherapist there is a no doubt chance you will have to answer the question: what is hypnosis? multiple times. You could say there are as many answers to that question as there are hypnotherapists in the world, but that also can be explained. When it comes to a topic that is so intangible, the definition is based upon one’s experience with said intangibility, because you can only define it for yourself in a way that you can understand. It would be the same if someone asked you the definition of emotions. Sure, there is a “definition” in the dictionary, but if you used that to explain it to someone who had never thought they had experienced an emotion then they would have no idea what you are talking about.